Explore Rotorua with us! 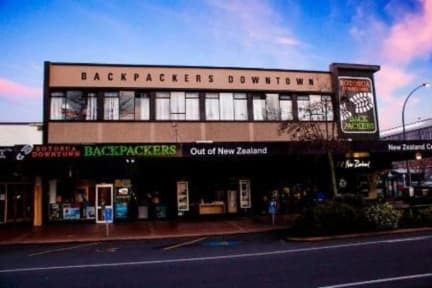 Our comfortable, modern hostel is located in the heart of Rotorua across from the I-Site and major bus lines. Our clean, comfortable hostel offers many services and amenities including free, unlimited WiFi, an extensive movie collection, complimentary pasta, rice, tea and coffee, homemade dinners on Sundays during Winter and Friday Night BBQ in the summer, We supply fresh linen and an outdoor oasis with BBQ. Really great hostel, would definitely stay again. Quiet rainy night in Rotorua but friendly staff and clean hostel. Excellent location right next to I-Site. Very nice place! The staff was helpfull and the facilities are great for the price, is near the buses and the supermarket, great option! Get what you pay for with big dorms. Staff super helpful- helped return goods I'd left behind. Free bar crawl on Wednesday and free BBQ on Friday was well worth it. Great location for local and intercity buses. Would recommend. Hotel was good and in middle of the city, was stay for 2 nights, meet lots of people. they were amazing. loved to stay can recommend it. Staff was great, they were kind and helpful. The facilities were nice and were clean. It was VERY noisy, though, and difficult to sleep. As a traveler trying to sleep well in order to get the most out my New Zealand experience, that was a bummer. Overall a nice hostel for a few days- has all the facilities you would need. Rooms are quite small but was fine. Kitchen was also quite small and was hard to move around if there was more then 4 people in it. Social and homely atmosphere though. Staff very nice. 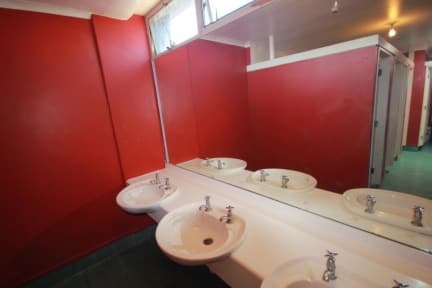 Bathrooms cleaned regularly. Kind of a party hostel, so not the cleanest and didn’t feel comfortable leaving my stuff there, as the door was left open after they cleaned the bed beside mine. Great location by the bus stop and food market. We emailed the hostel 5 days before our booked date to ask could the booking be moved. We were advised that there was no 4 bed dorms but we were happy to stay in an 8 bed as we had changed our booking. Upon arrival we were informed that our booking hadn't been changed and we were charged in full. The staff who we met were apologetic and advised a manager would be in contact on the following Monday about a full refund. This never happened.